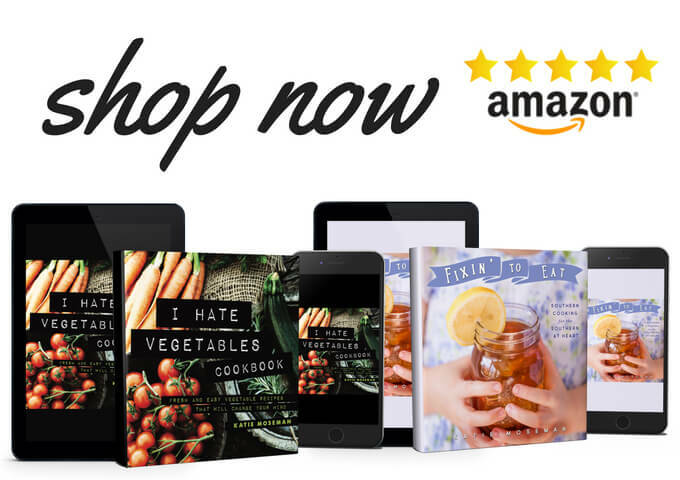 Are you ready for your fridge to sparkle and shine? Clean out your fridge, and you’ll be proud to open your refrigerator door. I will admit that I do not always put a priority on cleaning the fridge. Those little messes that quietly accumulate inside the refrigerator eventually require a response. A response, that is, other than closing the fridge door and walking away. Remember that green is for heavy duty, while blue is for non-scratch. 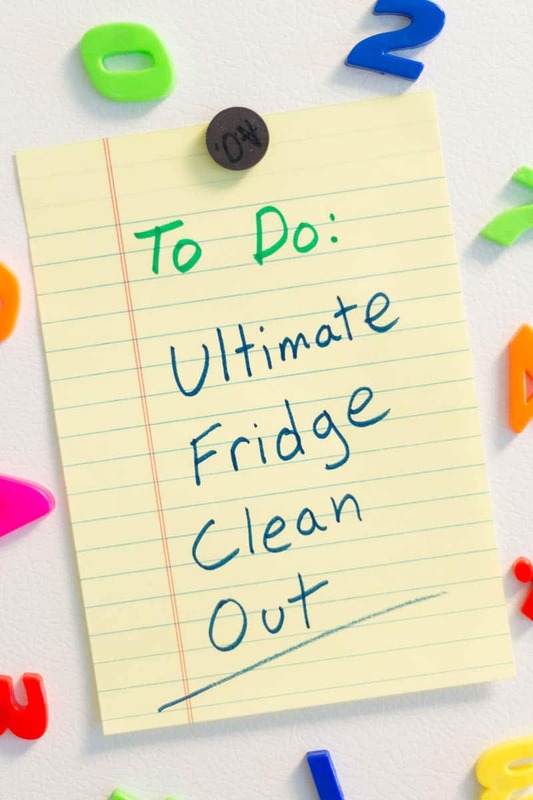 Let’s get started and clean out your fridge! 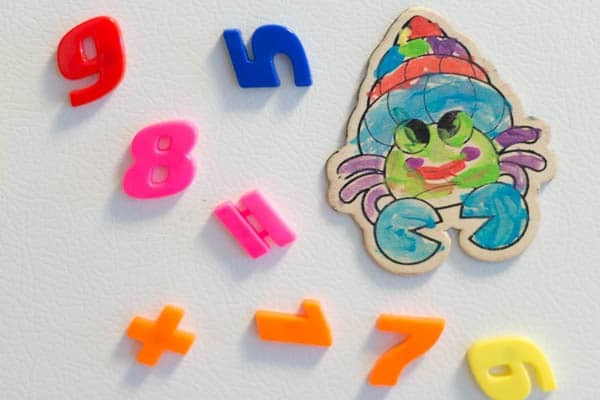 Remove all the magnets and papers from the outside of the fridge. Remove all of the food and drinks from the inside of the fridge. Remove the drawers and the door bins, if any. I leave the shelves in place because they’re quite heavy. 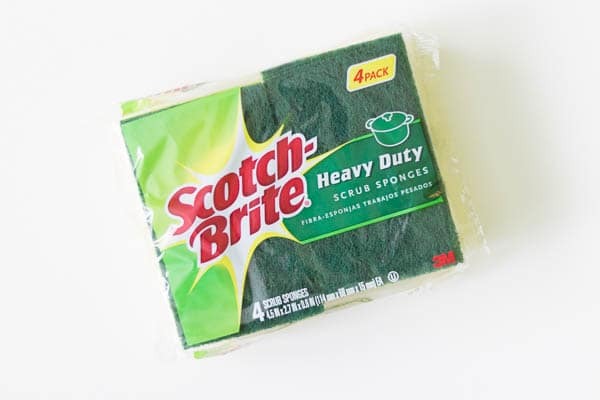 Soak a Scotch-Brite® Heavy Duty Scrub Sponge in hot water, then spritz it lightly with cleaner. 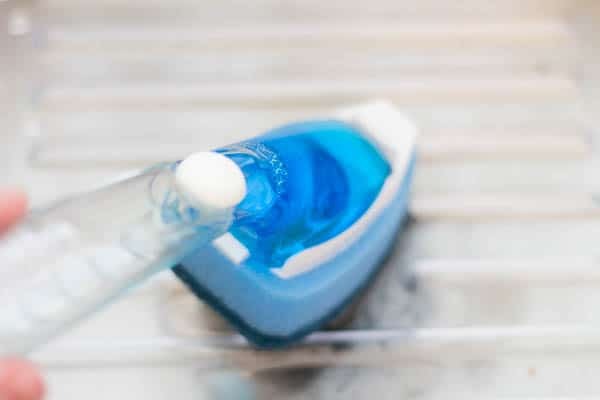 Dish soap can be really messy and difficult to clean up out of the fridge; that’s why I recommend a cleaning spray instead. 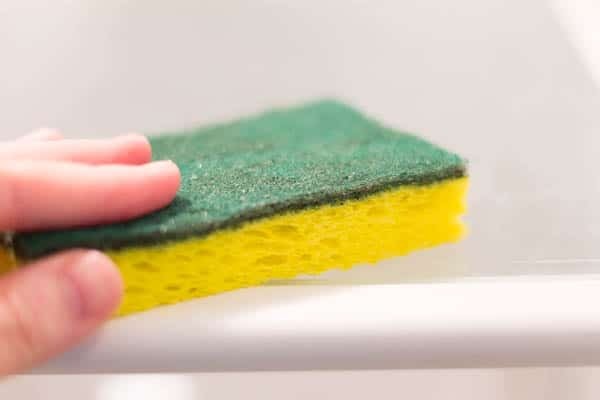 Squeeze the sponge gently to drizzle the hot water over your glass shelves, if you have them, or run the sponge over the wire shelves to moisten them. Then wipe the sponge over the interior walls and surfaces to moisten. Close the fridge for the moment. Place your drawers and bins in or near your sink. Moisten the Scotch-Brite® Non-Scratch Soap Dispensing Dishwand with hot water and rub the dishwand sponge all of the inside of each drawer and bin, adding more hot water as needed. Let these sit and soak while you return to the fridge. 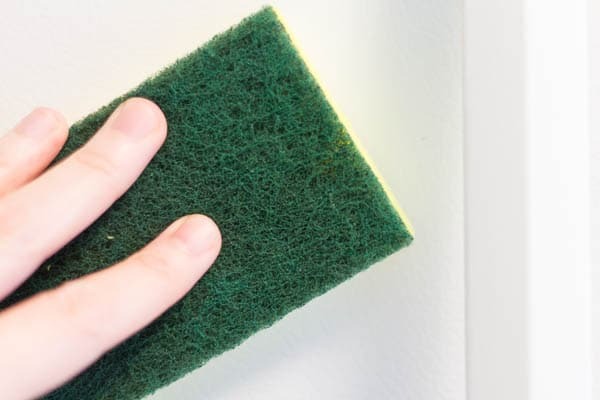 The previous moistening should have loosened the dirt, so use your Scotch-Brite® Heavy Duty Scrub Sponge to wipe down the inside of the fridge again. Remoisten and/or spritz the sponge with cleaner as needed. You can use the heavy duty scrubbing side for stubborn spots. 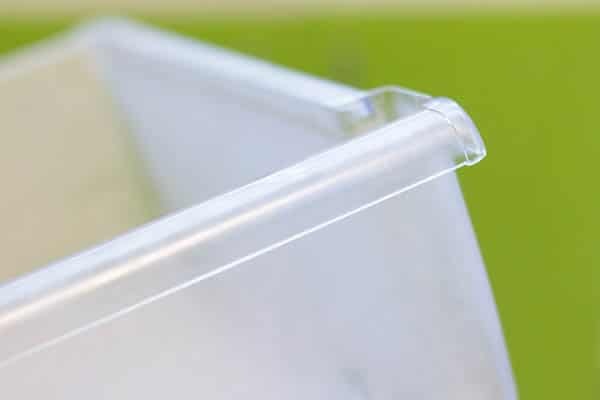 Once the inside is clean, remove any excess moisture with a few paper towels. Return to the sink and use the Scotch-Brite® Non-Scratch Soap Dispensing Dishwand to wash each of the bins. After the initial soaking, they should be pretty easy to wash. 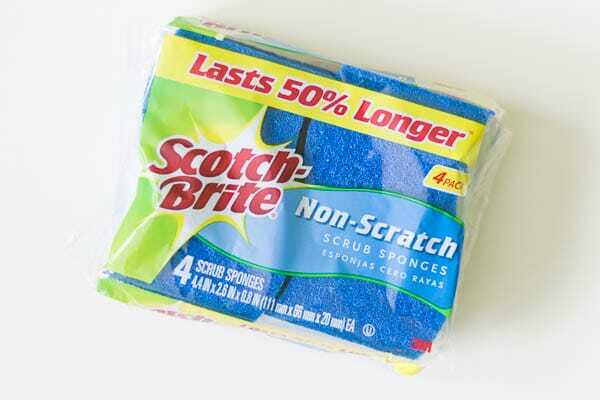 Remove stubborn spills with the Scotch-Brite® Non-Scratch Scrub Sponge as needed. Rinse and dry the drawers and bins, then return them to the fridge. You’re in the home stretch! 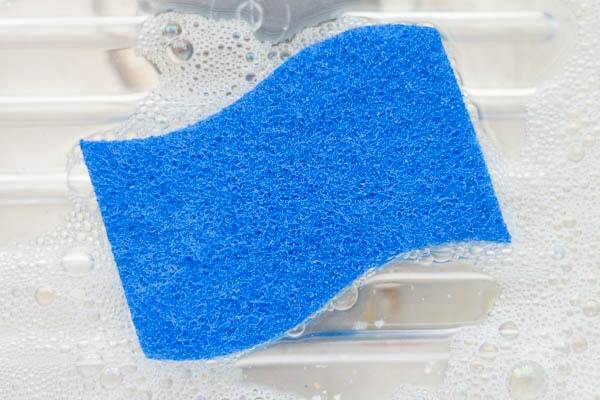 Lightly spritz the outside of the fridge with cleaner, then wipe down with the Scotch-Brite® Heavy Duty Scrub Sponge. Rinse the sponge and repeat if needed. Wipe dry. Return the food and drinks to the fridge. Pour yourself a cup of coffee and pat yourself on the back. 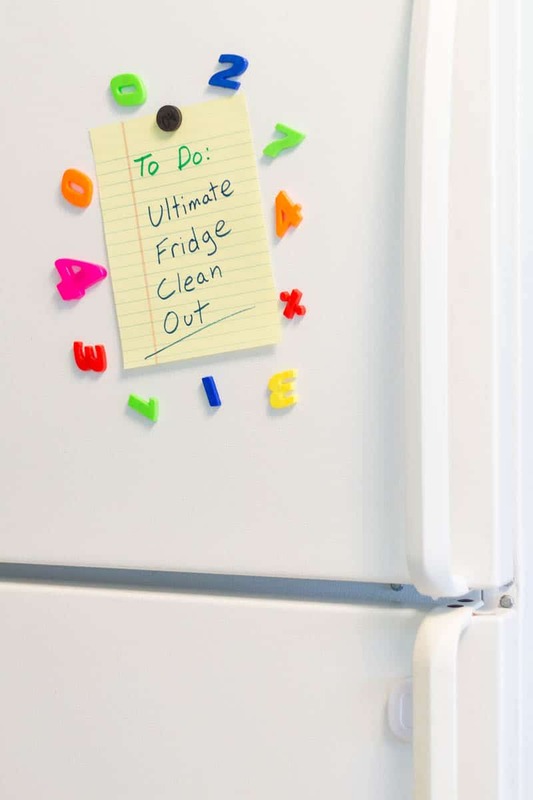 You’ve performed the ultimate fridge clean out! Look on the cleaning product aisle at Target, and be sure to check the Cartwheel app for the latest deals. 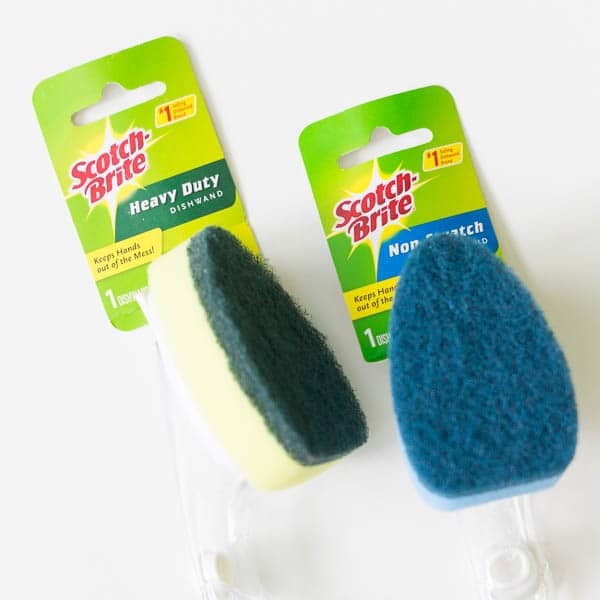 The Scotch-Brite® Heavy Duty Scrub Sponges look like this, and the Scotch-Brite® Non-Scratch Scrub Sponges look like this. You can also follow Scotch-Brite™ on Facebook and Pinterest. 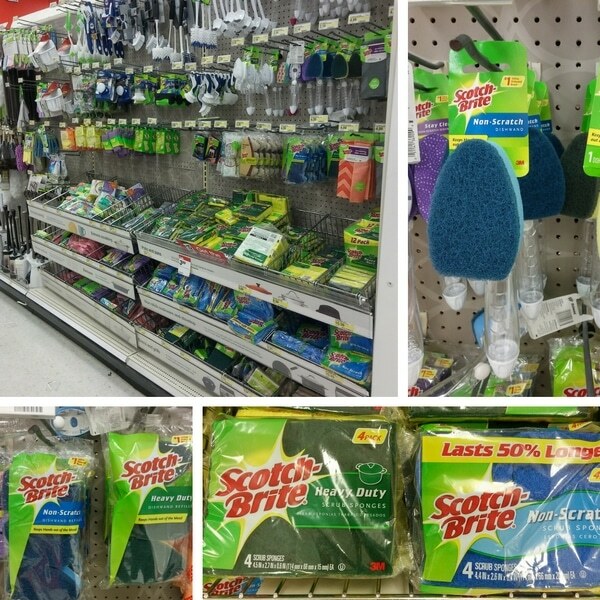 Get more cleaning inspiration from Scotch-Brite™! I like that the green is for heavy duty and the blue is for non-scratch. It’s easy to remember when to use each. You’ve inspired me to clean out my fridge today. I am definitely going to have my kids read this article. I am the fridge cleaner in my house, but I need to teach them to be thorough and that is definitely what you have done. We just did a big fridge clean out a few weeks ago before my son went back to college. I wish I had this article and all these tips back then. Cleaning out my refrigerator is probably the last thing I ever want to do. 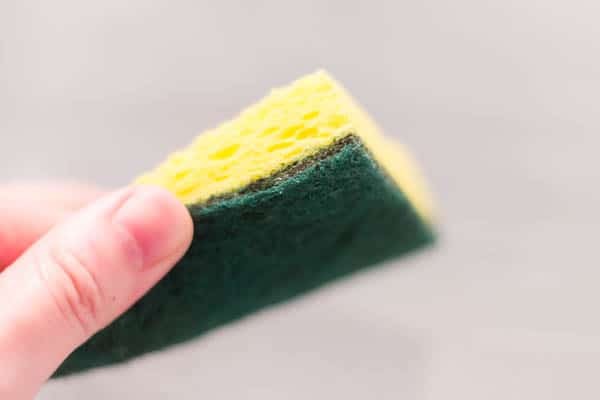 I’m really glad that you mentioned this scratch free sponges as these will make this job and many other household chores much easier. We have a brand new fridge so I am very good at keeping it clean! I do a total clean every week or 2 and wipe down every other day. This is a great reminder to clean out the fridge. Every time I go through the fridge, I find stuff that has expired or is no longer good. And of course, there are spills and stuff that need to be cleaned. Thanks for the reminder. 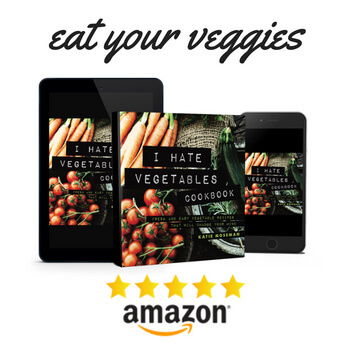 This is a really good guide! We use our old fridge as a back-up freezer in our storage room and it needs to be cleaned out. That’s pretty much how I do it too, right down to the scotch brite sponges. I love those things! The kitchen is the only thing I have left to Spring clean per say after doing the entire rest of the house. I always dread all the appliances in the kitchen and waiting until the kids start school. The fridge is going to be a pain lol. Will have to try these tips. 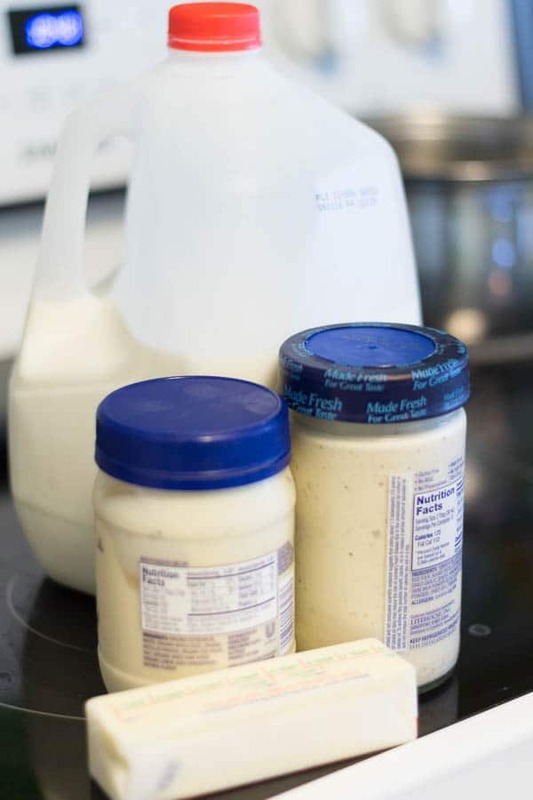 These are great ways to clean out your fridge for sure. Appreciate you sharing some ideas and you really dove into all of the details here. This should be something I have to do soon with my ref. Thanks for the tips. I’m sure scotch brite will really help. 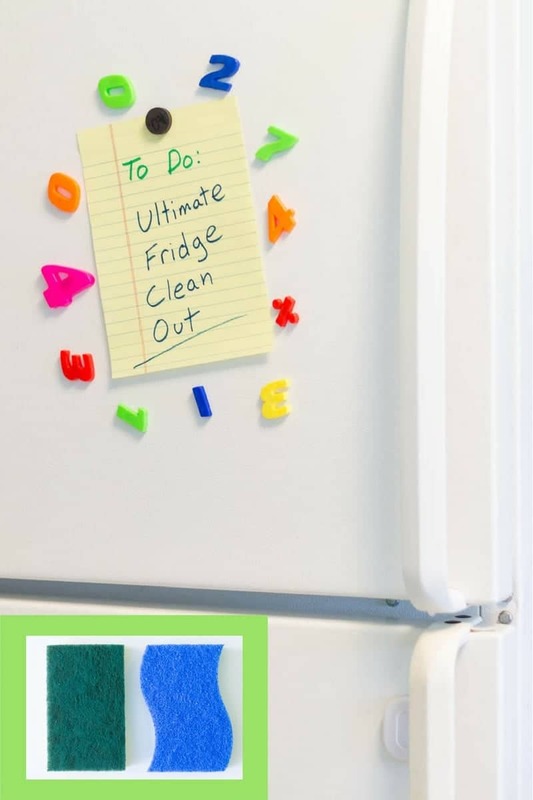 These are great steps to cleaning out your frig. 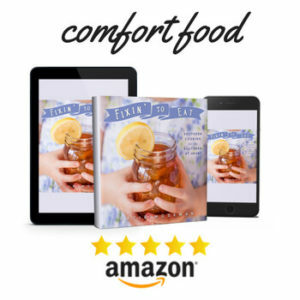 It is so important to keep your frig clean because of all the bacteria and mold that can grow on food. Thanks for sharing the steps and these awesome Scotch Brite products. Scotch brite products really do the job! They are my go to brand for cleaning materials and scrubbing pads. They also last a long time so it saves me money! We are in a market of selling our house and the cleaning can be very tedious. Especially for our kitchen appliances. 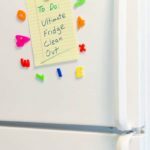 I am glad I came across with this post this could save all my time and energy in cleaning refrigerator. My husband cleaned ours out just last week. All I can say is, better him than me. I hate cleaning, especially the fridge.